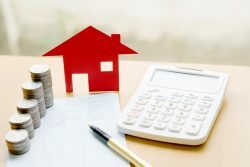 With the government’s Help to Buy ISA scheme set to close on 30th November 2019, many prospective first-time buyers are scrambling to open an account before it’s too late. But what exactly is the scheme, and how does it work? In a nutshell, the Help to Buy ISA scheme is designed to help first-time buyers save for their first home. 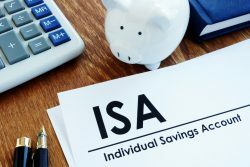 Saving money into the ISA means that the government will boost your savings by 25%. Once you open your account with a bank, building society or credit union, you can begin putting money into your ISA. Accounts will have different interest rates depending on who you choose to go with, so it’s good to shop around first. You can deposit an initial £1,200 during the first month to kick-start your account, but the maximum you can put in after that is £200 per month. The minimum you will receive off the government is £400, which means that you need to save at least £1,600 before you can claim your bonus. The maximum bonus of £3,000 means that the most you can put into your ISA is £12,000. An unfortunate yet common misconception is that you can use the government bonus to pay for your initial deposit. The reality is that your bonus payment has to be arranged by your solicitor or conveyancer after the mortgage completion. But fear not, you can still use your ISA savings towards the deposit, it’s just the bonus that will have to wait. A particular perk of the scheme is that couples saving towards one property can each have their own ISA. This means that together, they could save £400 a month, and get a maximum bonus of £6,000! We hope that this has provided you with an insight into the Help to Buy ISA scheme, and given you some food for thought if you’re considering buying your first home in the near future. If you’re looking for some more information about the scheme, or just some general financial guidance, our Abode Financial Services team can offer you bespoke mortgage advice to help you on your way. To find out more, get in touch with us here.